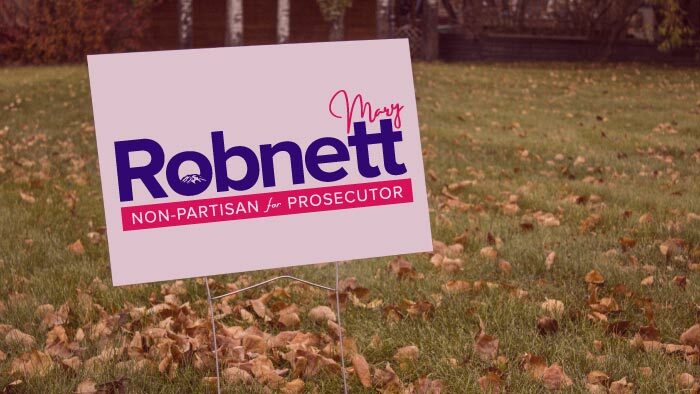 Mary Robnett is the clear choice in the race for Pierce County Prosecutor. During my eight years as your Attorney General, I worked frequently with our state’s county prosecutors. I know what makes a strong prosecutor – with Mary’s background, experience, and heart for public service, she will be superb. A top-notch, highly-respected attorney. The legal community knows Mary is an outstanding lawyer, deeply skilled and experienced. An effective manager and outstanding leader. The Prosecutor’s Office is a large law office with a high volume of complex cases. In the senior roles she has held, Mary has shown a demonstrated ability to work with and inspire people, while empowering them to do their best. Someone with impeccable judgment and integrity. Pierce County voters deserve someone like Mary Robnett – someone with good judgment, unquestioned integrity, and a high sense of ethics. In her public service career and her volunteer efforts, Mary is guided by the Golden Rule.